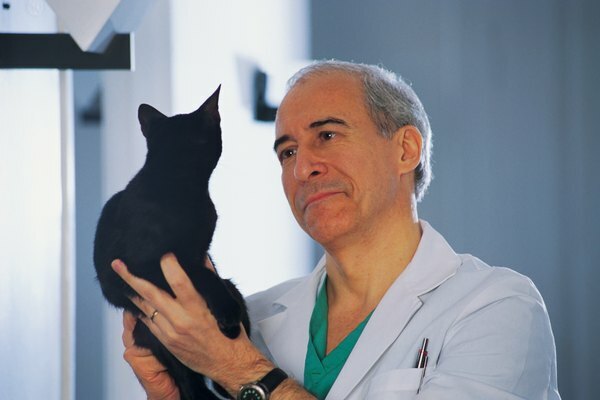 Your veterinarian will tailor a safe vaccination program for your cat. When it comes to vaccinating your cat, you want to do what’s best for your kitty. At the same time, you may have concerns about the risks that have been associated with vaccination. If your cat has tested positive for the feline leukemia virus, your apprehension has understandably surged. Feline leukemia is a retrovirus that suppresses the immune system, causes severe anemia and can lead to cancer. Cats with suppressed immune systems are more susceptible to various infectious conditions. All kittens, new cats entering a household, sick cats and cats who venture outdoors should be tested for FeLV. Positive test results should be verified by a second test for a confirmed diagnosis. Because FeLV can manifest in several different ways, the life-span for cats with the disease is unpredictable, with the possibility ranging from months to years. No treatment or cure currently exists beyond managing symptoms as they arise, but following your veterinarian’s prescribed health care regimen offers your FeLV-positive cat her best chance for longevity. This is a controversial question that pet owners often ponder for their FeLV-positive cat. While there was once a time when all veterinarians recommended annual vaccination for every illness that could be prevented through inoculation, today’s vaccination guidelines have steered many veterinarians toward vaccination protocols that are individually tailored for each patient’s needs. This means that after you and your veterinarian have a conversation about feline leukemia, he will proceed to assess your cat’s overall health condition and pose questions regarding her household living arrangements and lifestyle habits. This line of questioning enables him to formulate a unique vaccination plan best suited to Roxy’s needs. No vaccine is without risk for vaccine reaction. Some formulations of the vaccines also carry a slight risk for the development of sarcomas. However, with safer formulas and new guidelines for inoculation, the risks have been reduced for all patients of veterinarians who embrace these new options. Your veterinarian will insist that your feline leukemia kitty reside strictly indoors, preferably as an only cat. (The FeLV vaccine is not 100 percent effective, and though rare, it is possible for healthy vaccinated cats to become infected.) This will not only prevent her from infecting other cats that she comes into contact with, but will also diminish her contact with other illnesses, limit stress and eliminate her need for some of the available feline vaccinations. As long as your cat is not displaying symptoms of illness, most veterinarians who use the safer vaccines will confidently recommend the FVRCP vaccine, which protects against a combination of life-threatening infectious diseases, as well as the rabies vaccine if it is mandated by law in your state (and it probably is). These are the minimal core vaccines recommended by the American Association of Feline Practitioners. As with all decisions, discuss vaccination with your veterinarian and weigh the risks and the benefits to make an informed decision together. Protecting your FeLV-positive cat from other infectious diseases is one of the key steps in her care. While the FeLV vaccine is a moot point for the cat who is already positive for the disease, cats who are not symptomatic need all the immunity help that they can get. Thus your veterinarian may feel strongly about keeping your cat current on her core vaccines for other infectious diseases. By following your veterinarian's recommendations regarding vaccination protocols, lifestyle changes and frequent followup examinations, you will give your feline friend the best chance for extending her life.